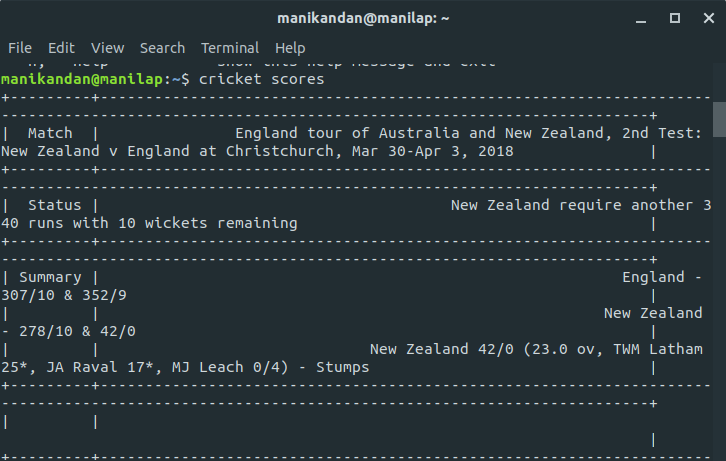 Cricket-CLI is a free open source command line tool for watch live cricket scores, ICC rankings and standings in your linux terminal. This beautiful tool is developed by Chetan Birajdar using Python. Open your terminal app and you can install via PIP by using the below command. then run the below command. 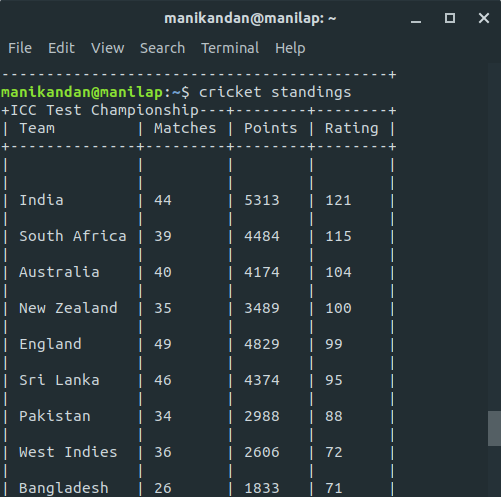 After the installation of Cricket-CLI, in your terminal type the below commands to show live cricket scores, ranking and team standing.